When it comes to letting a property, it is important that landlords and renters have faith in their agent. The more open and transparent an agent is, the more likely they are to appeal to clients. While most firms provide an exceptional level of service, ensuring that the ‘let agreed’ goes smoothly, there is still a lack of trustworthiness in letting agents as far as some people are concerned, owed in part to poor practices by the minority of rogue agents operating within the sector. The recent conviction of three unscrupulous letting agents in London who left at least 19 landlords and tenants £105,000 out of pocket, for instance, added to the negative public perception that some people have of the letting industry. The three rogue directors of Crestons, who fobbed off landlords and tenants who tried to retrieve their money, were sentenced last week at Blackfriars Crown Court to two years and four months each in prison. They were also banned from acting as company directors for the next eight years. “These unethical individuals who abused the trust and responsibility placed in them have given our industry a bad name,” said Adam Feather, letting director of Robert Anthony property. Despite the reckless behaviour of the three convicted agents, the battle for high standards in the industry continues, with Feather highlighting ‘accreditation’ as something that is crucial, while also pointing to the ‘important role’ that professional industry bodies play in supporting their members and ‘acting as a kitemark that gives the public peace of mind’. Iain McKenzie, CEO, The Guild of Property Professionals, which has been actively promoting best practice through its code of conduct and Trading Standards accredited training scheme for members for 25 years, believes that ‘the lettings industry has never been so tough’. He commented: “Many landlords do not realise is that there are now 170 pieces of legislation that letting agents must abide by." Some property professionals and trade associations believe that there is an insufficient level of regulation in the letting agency sector to ensure that people are adequately qualified to let property, and that has, according to some people, left the industry vulnerable to both inexperienced and unscrupulous firms and individuals as a consequence. ARLA Propertymark is among those that have long called for compulsory regulation in the industry to offer consumers better protection. 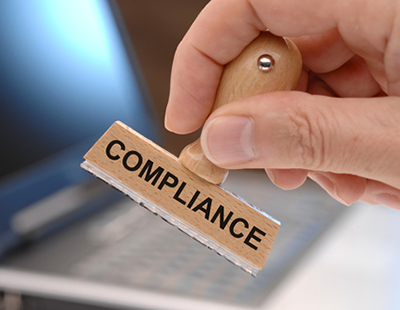 It would like to see agents forced to sign up to a professional regulation scheme that provides better safeguards for consumers, including either mandatory training that letting agents must complete or a code of practice that agents must work to. A Letting Agent Code of Practice is of course already in force in Scotland giving agents a set of minimum standards they must abide. There is also the Scottish Letting Agent Register, which opened a year ago, marking what David Cox, chief executive, ARLA Propertymark, described as a ‘watershed moment for the industry’. The trade body had previously called for regulation to be introduced in the private rental sector to stop rogue agents from doing things like charging over-the-odd tenant fees. 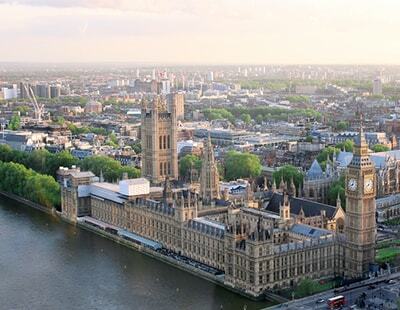 But now that the Tenant Fees Bill has passed its final hurdle in the House of Commons, the tenant fees ban looks inevitable and that is why Cox is now urging agents to ‘start preparing for a post-tenant fees world’. Ahead of the introduction of the Bill on June 1, ARLA Propertymark will host a series of regional meetings over the next few weeks and of course its annual conference on April 2, enabling agents to learn more about the intricacies of the legislation. “With the law continuously evolving in the PRS, it is imperative that lettings agents are kept up to date and well informed,” said Alexandra Fleck, head of lettings at Arlington Residential, which is a member of ARLA Propertymark. “As well as attending ARLA’s regular regional meetings where suitably qualified professionals keep members advised, as individual agents we also subscribe to a number of online property newsletters, magazines and forums,” she added. Pastor Real Estate also relies heavily on ARLA Propertymark for notice on all new legislation and changes, according to the firm’s head of lettings, Susan Cohen. “We are a licensed ARLA office and are therefore regulated by their rules,” she said. Hermon-Taylor is among those who accepts that membership of a regulatory body is likely to become a requirement in the near-term. Although not yet a legal requirement, most agents recognise the importance of signing up to any one of the various industry bodies for professional guidance as well as self-regulation in order to distance themselves from the rogue operators in the industry and promote professionalism and better standards of service, thus offering consumers greater confidence and protection, as well as sharpening up their own industry knowledge and specialist skills. Isobel Thomson, CEO, The National Approved Letting Scheme (NALS), which has around 2,000 members - including multi office firms. Thomson highlights the NALS Effective Enforcement Toolkit as a good example of the way in which it helps Trading Standards teams with the legalities and requirements of regulating agents. The independent, not-for-profit, accreditation scheme for lettings and management agents, also works closely with the government to inform and educate on the role of letting agents in the private rented sector. “We’re well respected within the industry for our collaborative approach in dealing with issues that impact on all parts of the PRS; for tenants, landlords and agents,” added Thompson. Agents thinking of taking out a membership with NALS, which includes client money protection for a single office firm and starts from £619 + VAT, may be keen to learn that it is the only regulatory body for agents offering total online training, meaning agents are able to achieve industry recognised awards and qualifications without the need to attend a training centre. Some organisations take a slightly different approach to working with agents, with The Guild of Letting & Management (GLM), for example, opting for a more customer-focused strategy by working closely with clients. Dedicated to maintaining and raising standards of integrity, transparency and professionalism in the residential letting and management industry to ensure compliance, best practice and due diligence, the GLM, which currently has 368 member offices with each paying an annual fee of £300 plus VAT for membership, has trained more than 20,000 letting agents, landlords and property managers. The Guild, led by CEO Susie Crolla, helps business development by supporting members through its advice line, ensuring members are kept up-to-date, whilst providing them with many opportunities to build on existing knowledge. Crolla said: “We know our client base extremely well so it helps to have a discussion on a very personal level." We all know that landlord associations speak on behalf of their members, providing a collective voice, as well as offering a support network for buy-to-let landlords and – by extension – the industry on a whole and that includes letting agents – both directly and in partnership with other associations. UKALA membership, for instance, which costs from £714 a year and includes membership to a redress scheme and Client Money Protection (CMP), not only provides agents with a comprehensive package of services and benefits, including include protection, business development, accreditation, training, information and marketing support, but also access to one-day courses operated by its partner, the National Landlords Association (NLA). “Agents are welcome to join as business members and receive the same support we offer our landlord members,” said Chris Norris, director of policy and practice at the NLA. From legislation and GDPR to improving property standards, the Residential Landlords Association (RLA), which now has more than 35,000 members, also offers training courses designed for landlords and letting agents alike. “We offer a range of training courses specifically for agents and others tailored for both agents and landlords to help them cope with greater regulation in the industry,” said John Halliday, the RLA’s business manager. The RLA has always had a good relationship with ARLA Propertymark and other trade bodies, but with agents set to become more heavily regulated, the association felt it could help educate agents by offering them access to its ‘corporate membership’, available to up to five users. Corporate membership, currently available at a discounted rate of £119.95 for a limited time, also provides agents with access to a business support helpline. Whichever letting trade association you work with, the fact is that membership provides landlords and tenants with an assurance that they will receive the highest level of customer service.